Thousands of gallons of water flow through tall buildings everyday. The combined force of all this water is a massively untapped resource that could be converted into renewable, affordable, clean, and sustainable energy. Create a new hydrokinetic energy generator that will be powered by water flow in tall apartment buildings. Select an appliance that uses water to function on a daily basis, such as a washing machine, shower, or toilet. 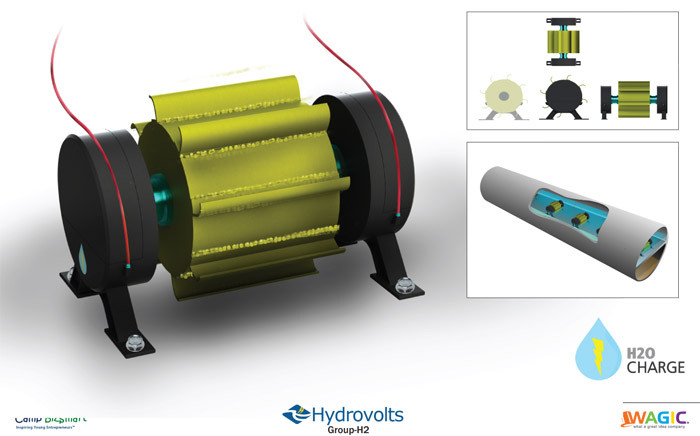 Create an innovative new HydroVolts power generator that would capture energy created by the flow of water from this appliance, leveraging the product characteristics of turbine design for the most continuous benefit. 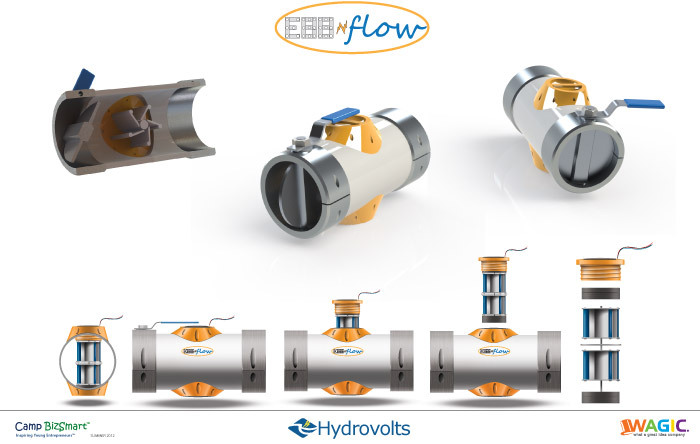 Apply the current HydroVolts technology to your solution. Design and build a working prototype for less than $50,000. Time to market: within one year of prototype testing. 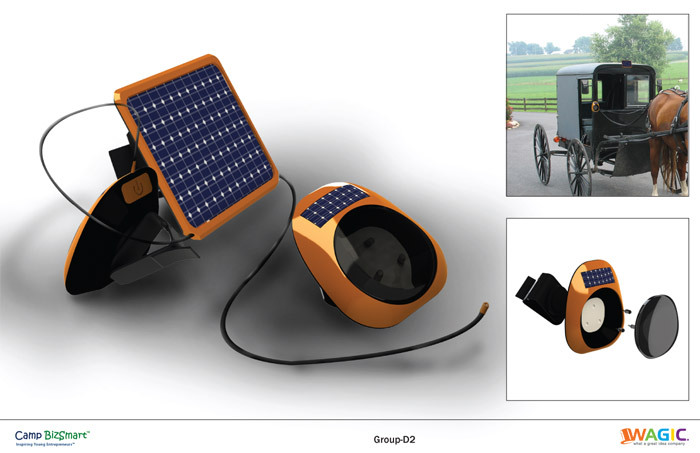 Innovative design for a renewable energy generator powered by the flow of water. Identify the primary market user and deliver a marketing education plan on the features, benefits, and advantages of a competitive analysis of use with and without the product. For the 261,150 Amish that live without electricity in the U.S. and Canada, kerosene costs 10 – 20% of a family’s income. In addition, it’s a hazardous substance, causing serious burns and injuries every year, while emitting a considerable amount of greenhouse gases. It’s also an ineffective source of light, providing a dim illumination that’s difficult for studying, working, or reading. 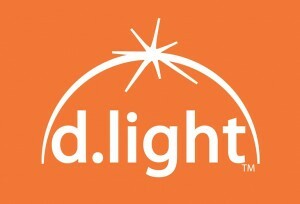 Leverage d.light’s affordable solar and LED technology. Must cost less than kerosene as well as other petroleum or grain products. Ensure the product conforms to Amish culture and technology restrictions. Build a working prototype by the end of 2012 for use in an REI campaign. Design and build the prototype for less than $5,000. Create a social marketing campaign to leverage REI’s user base and build product awareness for d.light. 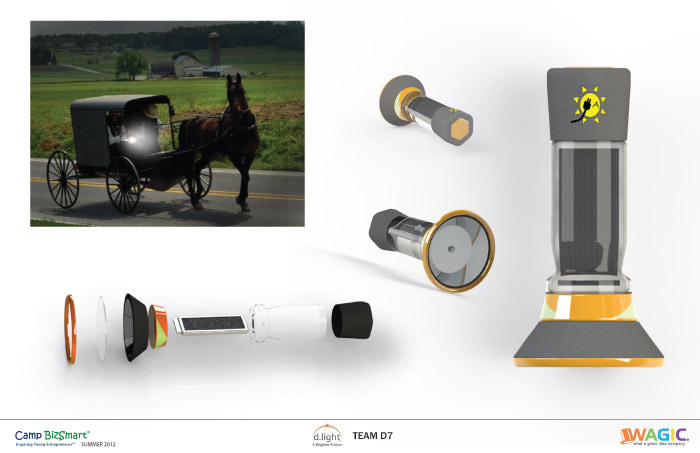 Come up with a unique distribution model that would appeal to the Amish community as well as REI customers who would purchase or donate the products. Show projected cost savings and potential income generation from increased productivity.